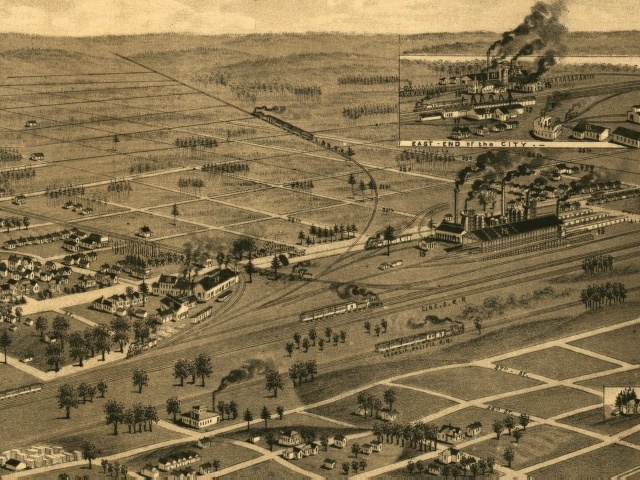 "In 1881, at the suggestion of DeBardeleben, James W. Sloss formed the Sloss Furnace Company and built his own furnaces on a tract of land given to him at the intersection of the railroads on the eastern edge of the city. With the financial backing of the L&N and the promise of cheap coal from the Pratt mines, the Sloss City Furnaces, the first two of four built by the company in the 1880's, went into blast in 1882 and 1883." "By 1883, DeBardeleben and Kentucky lawyer William T. Underwood had founded the Mary Pratt Furnace Company and blown in an additional furnace on a 30 acre site inside the city's eastern limits near Avondale. Underwood ran this furnace, named for another of DeBardeleben's daughters, Mary Pratt, with excellent results."